This Rhodopeltis sp. does best in low-light refugiums or tanks and is very easy to frag. 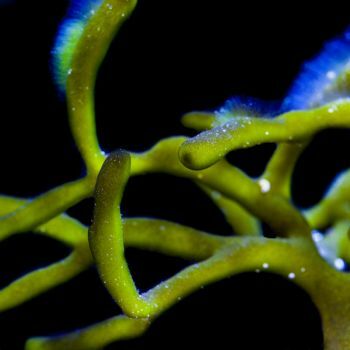 Frags are 2-3"+ with multiple branches and ships loose. This Scinaia sp. (likely Scinaia complanata) does best in low-light refugiums or tanks and is very easy to frag. Frags are 3"+ with multiple branches and ships loose.